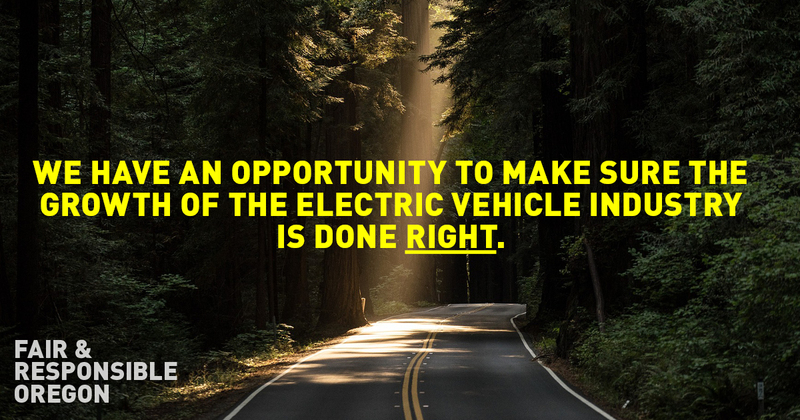 In Oregon, we have an opportunity to make sure that the growth of the electric vehicle industry is done right. We believe that green jobs should be good jobs that lift people up – and that means making sure that taxpayer-funded consumer rebates for electric vehicles are only paid to companies that treat their workers fairly and responsibly. Please take a minute to send a letter to the Oregon Department of Environmental Quality and the Oregon Environmental Quality Commission and ask them to make sure electric vehicle rebates are given to companies who set the standard for fairness and responsibility with their workers. Together, we can make sure the electric vehicle industry grows in the right direction, where workers’ safety, dignity, and livelihoods are protected. Let’s make sure we seize this opportunity in Oregon. Take action today! On Monday, workers from Burgerville on 92nd and SE Powell demanded recognition of the Burgerville Workers Union! 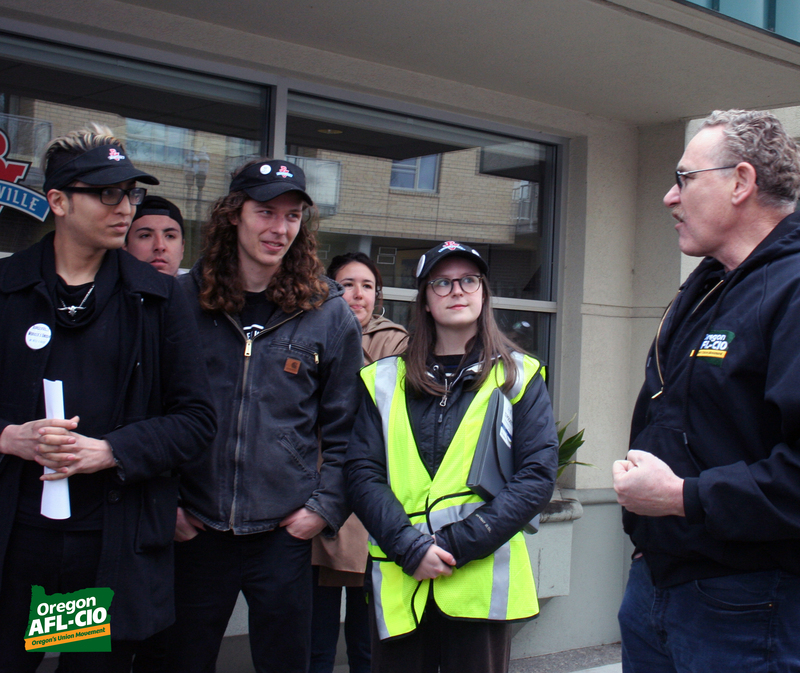 Oregon AFL-CIO President Tom Chamberlain joined the workers as they marched to Burgerville's corporate headquarters and encouraged them to stand strong, stand together, and not to give up on their fight for a union. Do you stand with the Burgerville Workers Union? Take action: Tell Burgerville CEO Jeffrey Harvey to recognize the union and to stop retaliating against workers for speaking out. Northwest Labor Press: "Accompanied by Oregon AFL-CIO president Tom Chamberlain and other union and community supporters, a delegation of about a dozen Burgerville workers paid a visit to the company’s Vancouver, Washington, headquarters March 26 to deliver a message." 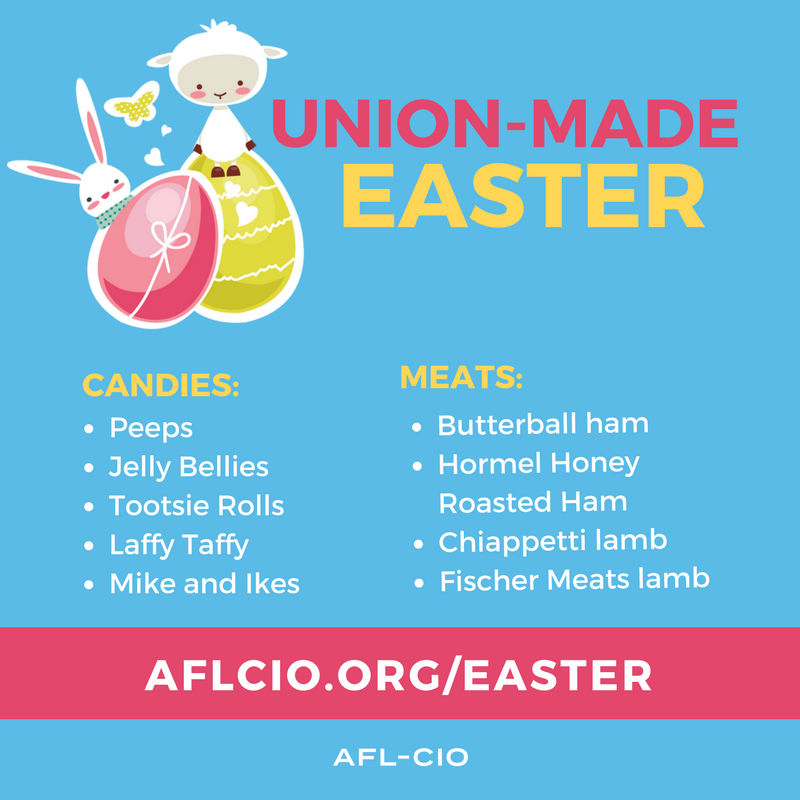 Here is a list of union-made in America treats to fill an Easter basket and other holiday goodies! This list is brought to you by the Los Angeles County Federation of Labor’s resource site, Labor 411, which is a great place to find union made goods for any occasion. These Easter shopping list ideas are brought to you by the Bakery, Confectionery, Tobacco Workers and Grain Millers (BCTGM), the United Food and Commercial Workers (UFCW), the Machinists (IAM), United Farm Workers (UFW) and the Teamsters (IBT).